A radiating “never met a stranger” personality led Callie to the highly interpersonal real estate industry. Her love for people stems from a close family upbringing that fostered a sentiment of treating everyone like your own. This ability to cultivate and sustain lasting relationships is what grows her business and most uniquely, makes Callie’s clients feel like family. Time and again, they trust her to deliver honesty, transparency and a thorough dedication to every sale. Her work ethic and attention to detail are unparalleled. Growing up in Waxahachie before attending Baylor University, moving to Austin and ultimately residing in Dallas, Texas has always been “home” and Callie knows and loves it deeply. 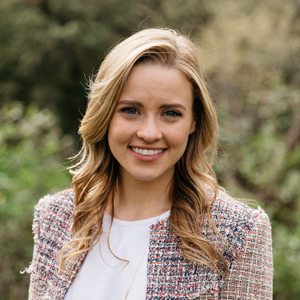 Callie graduated from Baylor’s 4 year business program in 2012, a year early, and at the age of 20 launched into a five year career in the media and marketing industry. Her first job was in Austin where, while working as a sales and marketing associate for a start-up tech company, she had the opportunity to help deliver a pitch to several angel investors at the South by Southwest Conference. This helped hone her skills as a sales professional and public speaker before she ultimately left to pursue a passion in real estate. Callie’s excitement, persistence and commitment to helping her clients dove her head first into the industry and she quickly found that her passion was met with success. She accomplished selling over 10 million dollars of real estate in her second year of business. Callie has lived in Dallas for over five years and specializes in luxury home sales and relocation. She and her husband, a local Dallas home builder, are active members at Munger Place Church and on the weekends can either be found there or walking their Wolfhound to Royal Blue for coffee and breakfast tacos. In addition to volunteer work at Munger, Callie also enjoys theatre, running and spending time with her growing family.